Stukeley, William (1687–1765), antiquary and natural philosopher, published ‘Itinerarium curiosum. 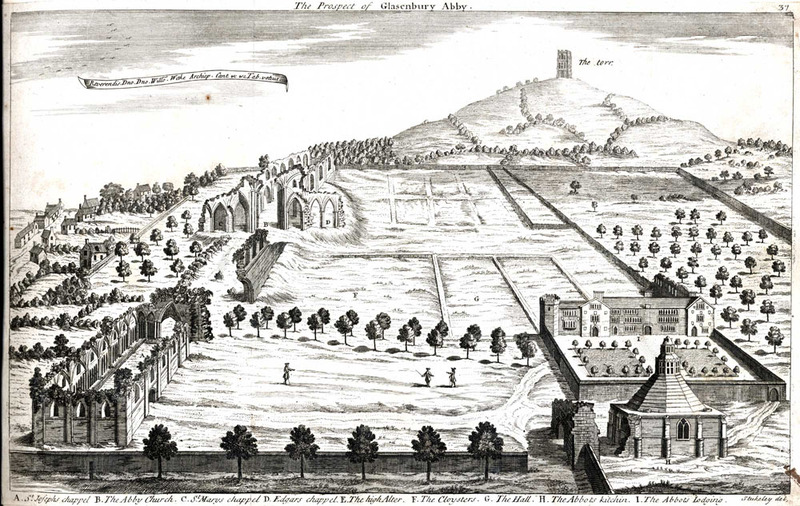 Or, an account of the antiquitys and remarkable curiositys in nature or art, observ'd in travels thro' Great Brittan’ in London in 1724 with engravings of four Glastonbury drawings, dated Aug 17th 1723. 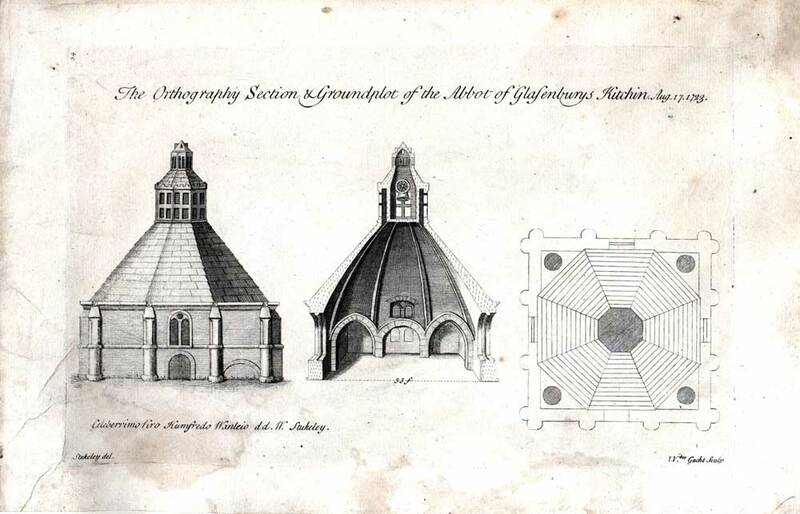 The Ichnography of the Abby of Glasenbury. 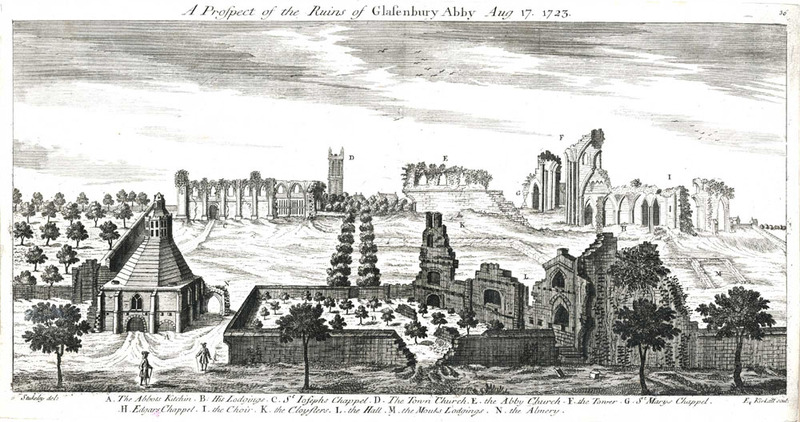 A Prospect of the Ruins of Glasenbury Abby. The Orthography Section & Groundplot of the Abbot of Glasenburys Kitchen. 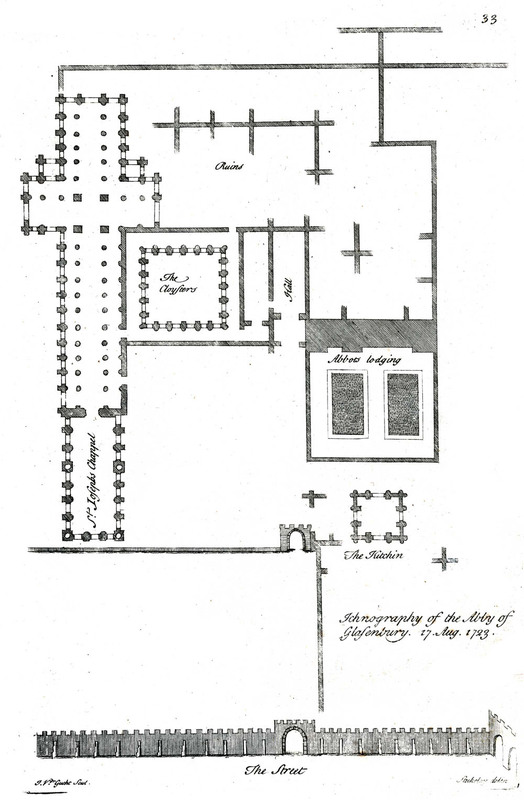 Although the Abbots Lodging had been demolished in 1710 one view shows it's earlier elevation. 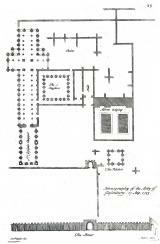 St Mary's Chapel and the Edgar Chapel are both identified in the transepts. St Mary's Chapel (identified as St Joseph's) is shown with the South west stair turret still intact, as are parts of the south transept chapels and the choir north clerestory. Note the wall on the eastern side of Magdalene Street with the only known representation of Chaingate.